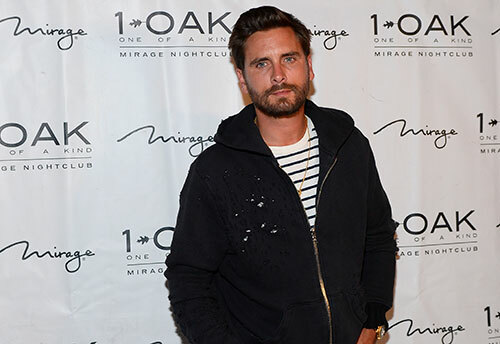 Last Saturday (May 20) reality show star Scott Disick celebrated his 34th birthday at his favorite Vegas nightspot, 1 OAK Nightclub inside The Mirage Hotel & Casino. Kicking off the late night festivities, Disick and a large group of friends dined at STACK Restaurant & Bar for a pre-club meal. The group was seated in the Private Dining Room where they dined on a delicious variety of STACK’s signature dishes and cocktails. Before heading into the club shortly before 12:30 a.m., Disick stopped right outside the nightspot to briefly pose for photographers. The reality star looked handsome and stylish in ripped jeans, a striped shirt and dark hoodie. 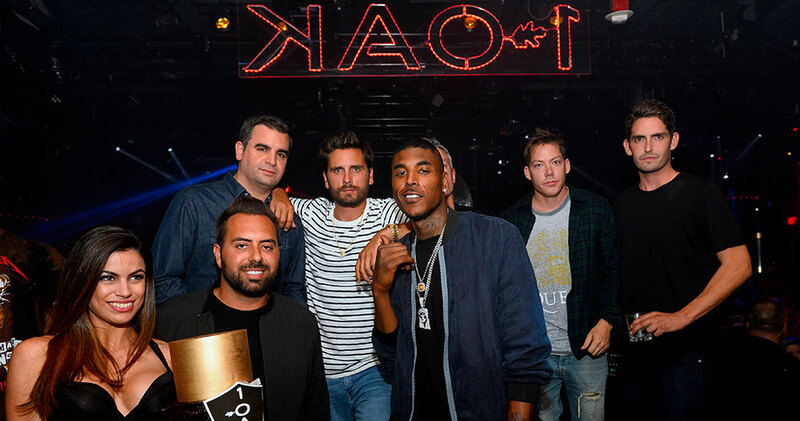 Making their way inside, fans cheered Scott’s name and took photos as the group walked by, and Disick briefly addressed the crowd before settling in at a VIP table located behind the DJ Booth where DJ Gusto was laying down popular tracks for the packed room. Shortly after arriving, Disick was surprised by a parade of cocktail waitresses who presented him with an elegant black and gold three-tiered cake. The stunning ladies surrounded him holding up large cutouts of the reality star while his friends happily joined in on the celebration and posed for photos. 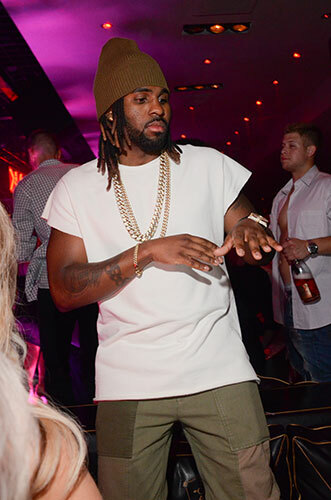 Adding to the exciting celebration, singer and songwriter Jason Derulo joined the revelry and was seated near Disick with a group of friends. The artist sported green capri pants and a white t-shirt, complemented by gold chains and a green beanie. 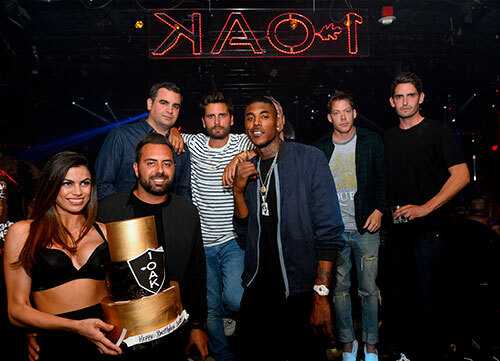 Both groups were seen in high spirits all night as Disick celebrated his birthday with his closest friends, sipping on cocktails and partying in true Las Vegas fashion into the early hours of Sunday morning. Earlier in the day, the star also commemorated his Sin City birthday at LIQUID Pool Lounge at ARIA Resort & Casino where he arrived around 2:45 p.m. with a group of friends including Brody Jenner. Disick was ready for the pool, sporting tan shorts and a striped t-shirt, complete with a gold chain and aviator sunglasses. The reality star was all smiles as he took photos with fans while Kid Conrad was laying down chart-topping hits. Shortly after his arrival, the birthday boy was presented with an extravagant three-tiered, nautical themed cake. Disick was seen in high spirits as he mingled with friends and enjoyed his daytime birthday celebration until the late afternoon.